Our Floating Duck Blind is a floating platform of matrix decked with non-skid fiberglass lumber. A coated steel fencing box sits on top of the decked platform which houses all of the creature comforts including a bench, gun holders, a shelf, and dog kennels. An outer edge of exposed matrix wraps around the fencing to allow for vegetation to be planted into pre-drilled holes. 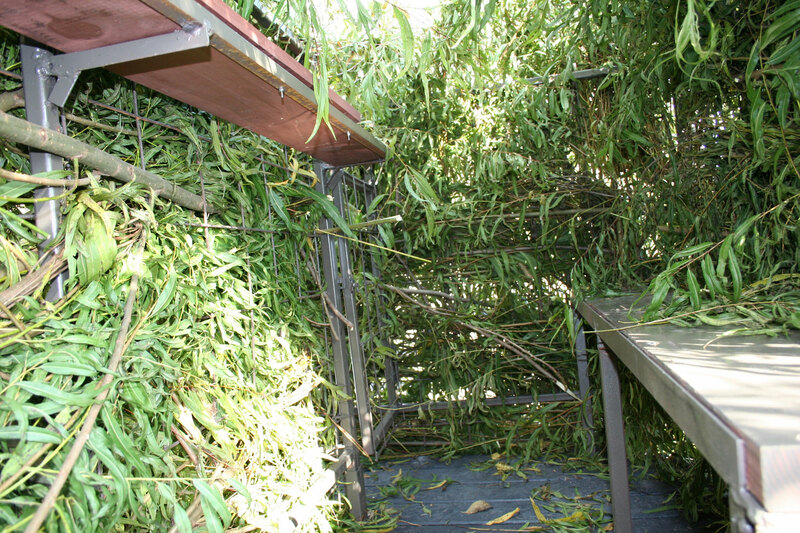 Hunters want a low profile blind that will camouflage into the surrounding environment. The Floating Duck Blind is not brushed. Instead, vegetation is planted into pre-drilled holes which then grows hydroponically through the matrix platform into the water column. The vegetation is "living", so it performs and looks just like the natural surrounding environment. 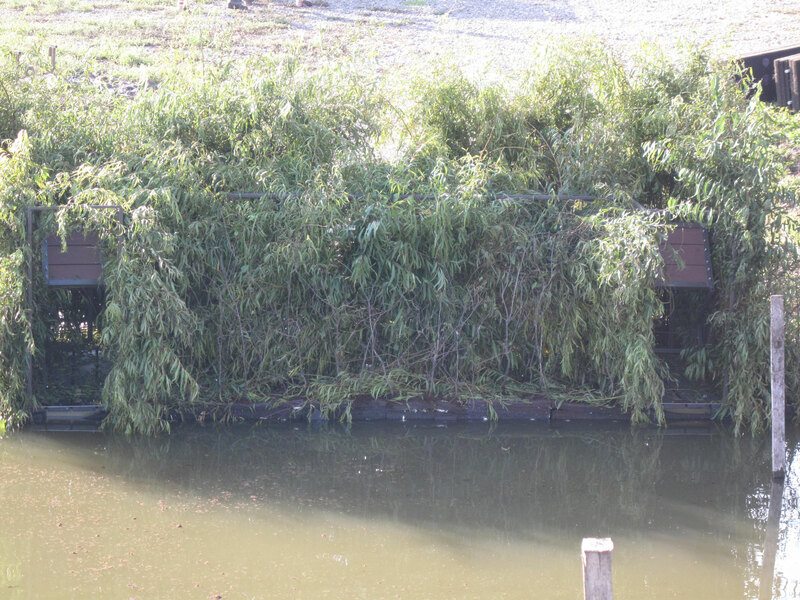 Camouflaged into its natural surroundings, the Floating Duck Blind enables the hunter a closer first shot. Pre-drilled holes make planting the blind easy. 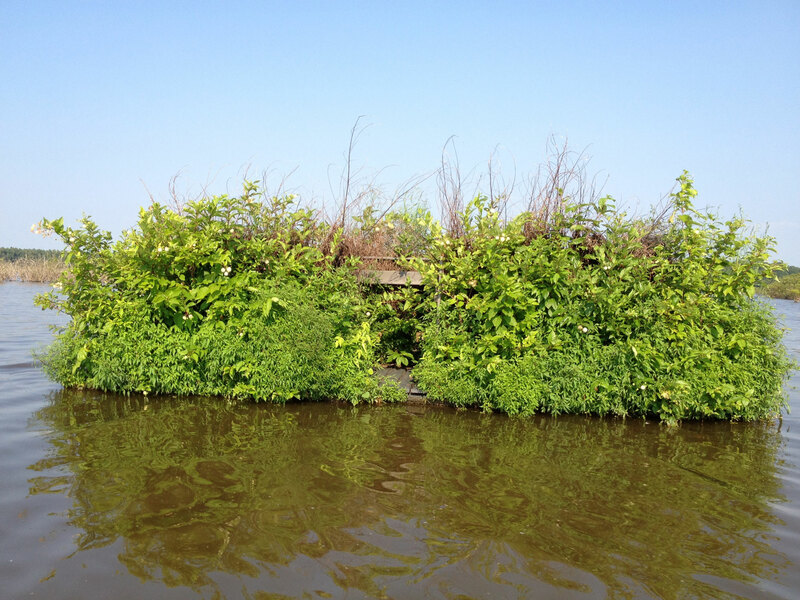 In just 2 growing seasons, brushing your blind will be a thing of the past as vegetation roots grow hydroponically through the matrix material receiving water nourishment year after year. The lightweight floating design allows for the duck blind to be towed or moved to various locations. 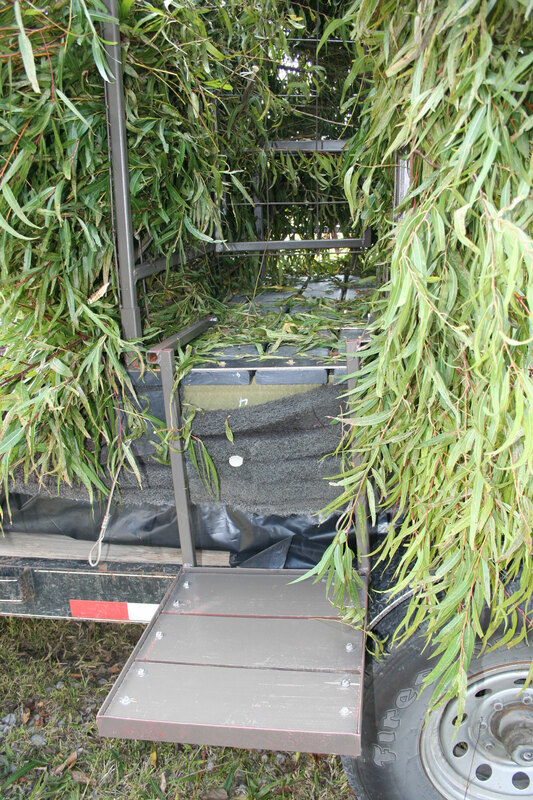 Visit our Resources Page for more information about our Floating Duck Blinds. Click on an image below to see the details.